We have a wide selection of chocolate products, lollipops, sweets and beverages. We offer candy-boxes with manually produced pralines in company colours or chocolates with print in contrasting colour. 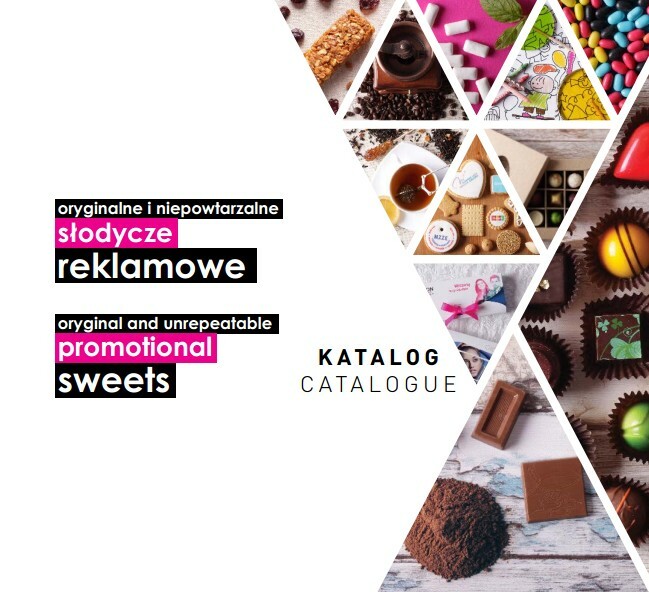 Sweets are a universal souvenir that is always welcome and their variety and limitless design possibilities are surely going to be helpful in marketing activities. Thus, we encourage you to get familiar with our offer and with us in person as well.